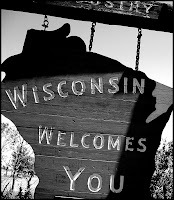 In honor of my recent vacation to Wisconsin, I'm going to skip our usual "things i love thursday" and devote all of Thursday and Friday to photographs of Wisconsin. We're going to name the photos or give them captions. Just leave your two cents worth in the comment section at the end of each post. I'll do several throughout the day today and tomorrow. I thought it would be a different and fun way to share with you the town where my father grew up. All the images were taken in, or around, Westfield, WI. Won't you play along? First up we have two beauties from our cousin Tom's farm. Let's name them and give this one a caption as well shall we? Double whammy. I am so excited to see what you all come up with! 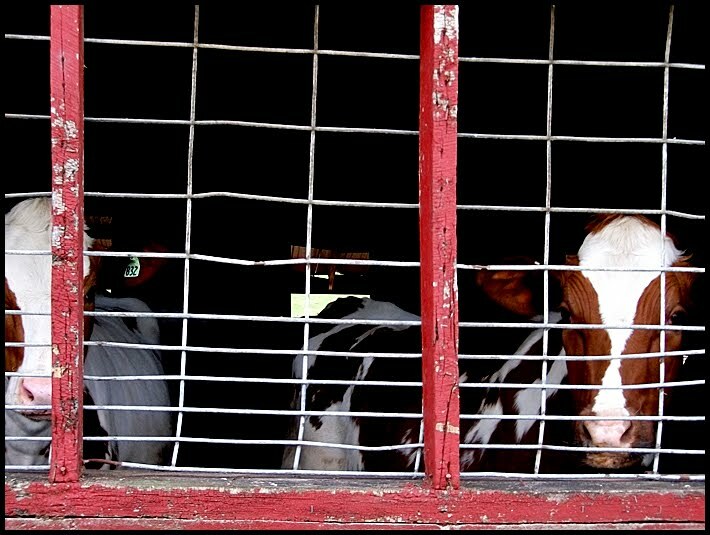 Bessie and Allie (and I mean that b/c they look cute and sweet - not b/c they're cows) and the caption "Peek-a-Boo"
caption: "I told you not to trust that guy with the tractor"
"Is it milking time yet?" Ha ha! 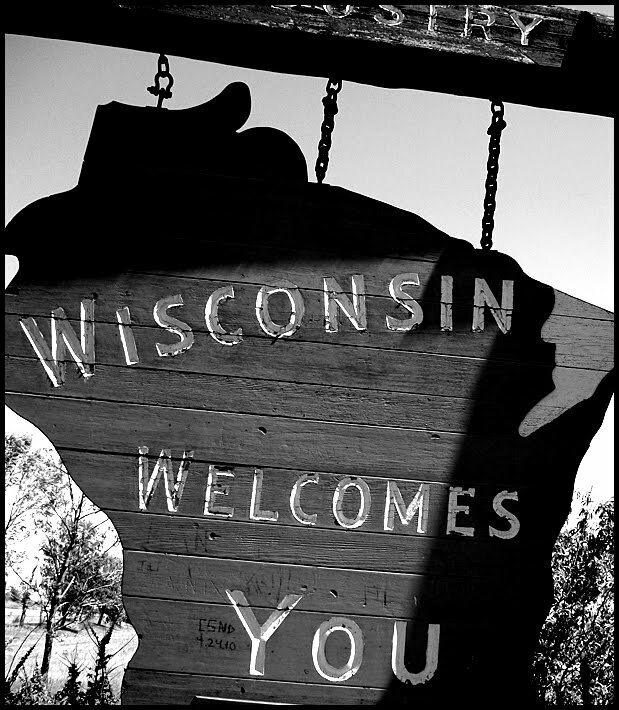 I think the Wisconsin welcome should have a plaque that says "Don't Like Our Cheese? Go Home!" 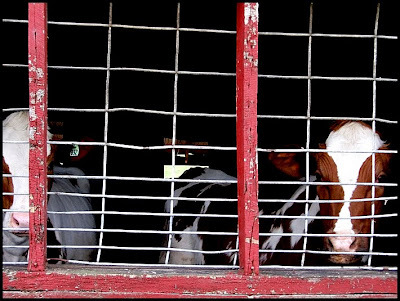 LOL, those cows are hilarious! "Who is this person with the camera?" "Quick Mabel, smile, I think she might be from 'The Dairy Monthly'! I've always wanted to travel the US and visit places like Wisconsin. We're actually doing a cross country road-trip when we move to California next week, but unfortunately our route takes us much further south. In the meantime I'll just live vicariously through these photos! Oh you guys are great. Don't trust the guy with the tractor, the dairy monthly and udderly alone - too clever!
" Hang around long enough with this smell and you won't have much to smile about either."